We’re always looking for new voices to add to our membership. Vasari Singers is among the leading chamber choirs in Britain. Our repertoire ranges from Renaissance to contemporary which we sing with passion and sensitivity, to exacting standards and considerable acclaim. We enjoy performing concerts in major venues in London as well as elsewhere in the UK; singing services at cathedrals, including an annual visit to Canterbury; adding to our extensive and critically acclaimed discography; and touring other parts of Europe. Since 2000, the choir has commissioned over 25 new works. Vasari is a great supporter of contemporary music, with a reputation for seeking out new and challenging modern repertoire. We regularly commission and première works, and have made many notable world première recordings. The choir is always looking to perform and commission new works, and is actively seeking to promote new British composing talents. 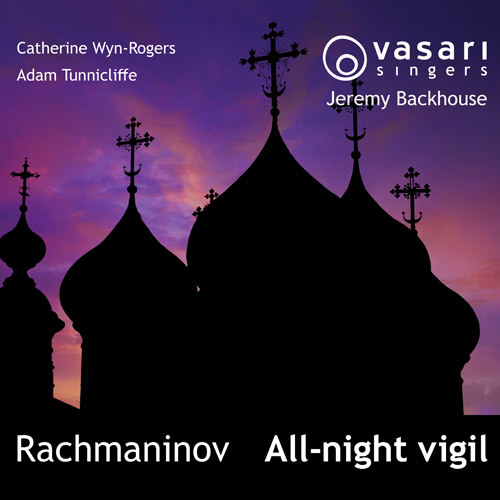 The choir’s most recent commissioning project in 2014 saw Vasari work with British composer Jonathan Rathbone. Best known for his close-harmony Swingle Singers arrangements, Jonathan also has a deep understanding of sacred choral music (indeed, Vasari has premiered and recorded two of Jonathan’s anthems) and the première concert and subsequent CD which was released in Autumn 2015, the first recording on our VasariMedia label, were both received enthusiastically.